We have been delighted to build and host a number of new websites for School’s and businesses in the last few months and we are now making this service more widely available. Our whole approach is to offer high quality websites that are both easily editable by the end user and above all affordable. 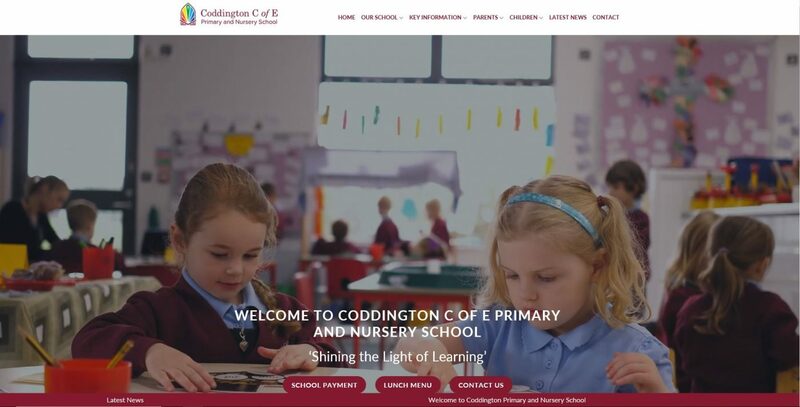 Our most recent work was with Coddington Primary School who required a new website for 2019 that was more modern and responsive for their needs. As is the case with all the websites we create, the website is designed to be easily editable and display and work well on any device from PC through to mobile phones. We were delighted to include our filming and photography services with this project which enabled us to capture the School at work and play. If you are a School, business or Charity that would like to find out more about our services then please get in touch. This entry was posted in Website Design & Support. Bookmark the permalink.